Crikey Comments: Will the Liberal Party regret letting the Greens through in Victoria? 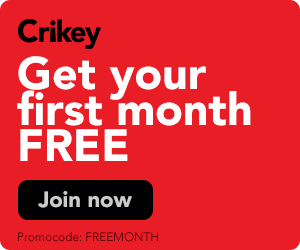 As the Victorian state election begins to ramp up, readers have questioned the Liberal Party’s choice to effectively phone-in their campaign (leaving the door open for the Greens to challenge Dan Andrews’ Labor government). Is it a strategy, or simply a lack of will? Elsewhere, readers responded to Damien Kingsbury on the continued rise of populism across the globe, questioning the political backdrop by which such a system could rise. And a concerned reader follows-up on the state of climate coverage in Australia. The Curmudgeon writes: Interesting test of ideology versus strategy for the Libs. 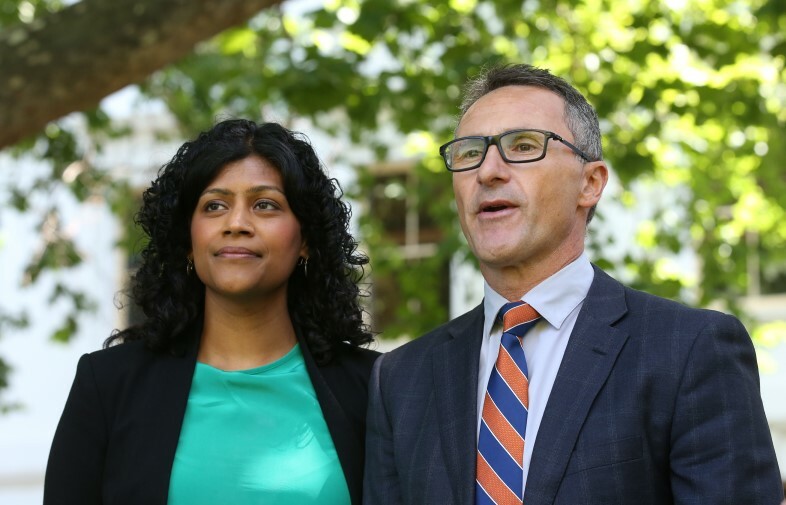 They’re bound to be raving on about the evils of a possible minority Labor government supported by the Greens, but if they help elect Greens in Brunswick and Richmond, wouldn’t they be partly responsible for that outcome? John Kotsopoulos writes: A Liberal decision to forfeit is like going into a soccer final hoping for a draw. In the event of a minority government allowing the Greens a free run will skew policies even further to the left regardless of which major party gains the most seats. Gumshoe writes: Who could not and did not foresee this likely outcome from as far back as two or three years ago? A jaded electorate will go to the polls with these fundamental cerebrations: 1) Matthew Guy is despised because of his hypocrisy, his disingenuity, his naked zealotry, and his conceited on-air and on-screen presentation… and his party likewise; 2) Labor is acknowledged for (finally, thanks to the sale of the port) awakening to the political advantage to be gained from being seen to be doing something about public transport, but Andrews’ imperious and often dismissive on-air and on-screen manner grates with people, and; 3) the Greens are perceived as a receptacle-of-last-resort for those desperate voters who know not what else to do. “They won’t get into government, so it can’t hurt, and it’ll teach those other bastards a lesson”. Graeski writes: I think it’s time that we all recognise that there’s a structural problem with so-called modern democracies as exemplified by countries such as Australia. Elections may still represent the will of the majority but increasingly, policy is determined by minorities. I believe it is this failure of fundamentals that is the primary cause of so much disenchantment, not higher-order issues such as globalisation. People are exhausted by the constant battle to achieve even the most basic standards of decency and morality across so much of our politics. Is it any wonder that some are turning in their desperation to other political systems, such as fascism, in order to have their needs and desires recognised? ruv draba writes: Given that social change and economic insecurity are recurring conditions in a swelling global population with rapidly changing technologies, what do you see as possible ways to inoculate populations against populism? Are there data or models to predict how effective these methods might be? fairmind writes: Simplistic solutions for simple minds. The folly of man is only trumped by his propensity for violence (well in sufficient numbers to cause serious problems for the rest of us). Charlotte writes: Dear Crikey, I am a year six student. I think that we should all listen to what the WWF has to say. I am worried for our environment, and I think that if we ignore the professionals, then it will only get worse. We can do better, Australia! Why leave out unpaid work and the gender issues? from a chapter I have recently submitted! Feminist claims for equality have, for too long, been defined by dominant male criteria and values, which fail to recognise the high level of unpaid contributions made by women. Current debate on the provision of an ‘unearned’ Basic Income (BI) offers a rare opportunity to address intransigent gender pay and status gaps. Western societies’ long industrial history of paid work served to increase the established gender divide by only valuing people by their earned/owned income. There are increasingly relevant arguments for a BI as demand for paid workers diminishes. If universal, this type of payment should acknowledge the value of unpaid work time contributions, now provided mainly by women but, hopefully in the future, by more men. It would address the income inequities created by unpaid women being the main providers of services, as well as being underpaid for commercialised similar roles. Therefore, feminist lenses are required to devise more appropriate versions of the future, which are not limited by masculinised viewpoints. These alternate viewpoints return value to current unpaid social roles and contributions to citizenship that are not dependent on paid roles and can devise payments to match. The following sections look at issues that need to be considered in any campaign for changes to our income provision and support policies. Reframing a payment as a social dividend – that is, a recognition that societies’ wellbeing depends on most people’s unpaid jobs – would redefine the valuing of paid over unpaid work so these are not gendered hierarchies. Budgeting time rather than money would allow people to have second thoughts about many of the tasks that can and do make their lives more possible and enjoyable. In the English language at least, this would mean the term ‘women’s work’, which devalues many essential tasks, could be abolished. These often feminised roles include parents, carers, neighbours, community members, or others in socially useful roles who offer time and/or skills unpaid. For example, volunteering, sports training, singing in choirs, organising events et cetera. None of these activities are counted in GDP because they are not traded for cash or its equivalent. Campaigners for an unconditional income argue this payment would not constitute money for nothing, since more than 50% of work is currently unpaid forms of care work. This work is typically carried out by women and often compels economic dependency on men, thus creating systemic discrimination and creating conditions conducive to dependency and the gender pay gap.